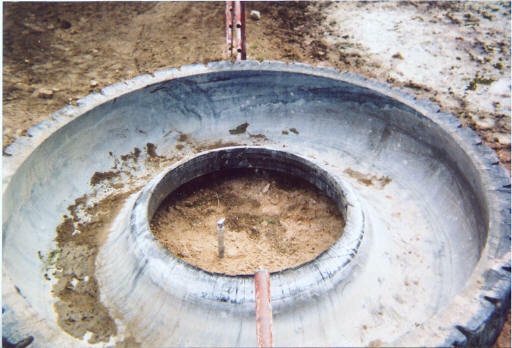 The tire rim hole measures from 33- 63 inches in diameter. 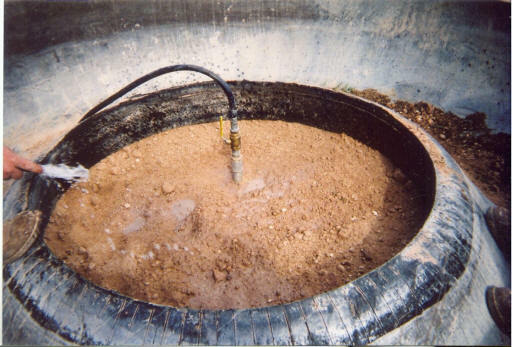 Many of our customers pack dirt and gravel up to the bead in the rim, mix their own concrete and apply 4-5 inches of thickness into the bead of the tire, then cover wet concrete with water to slow cure ensuring a good seal. 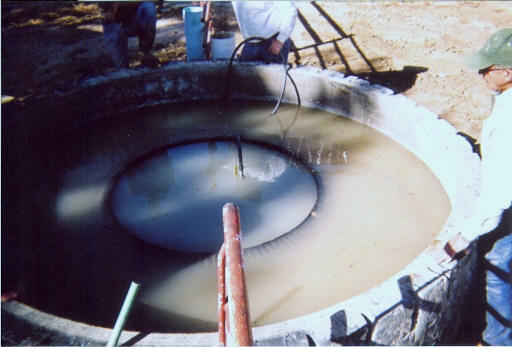 It is essential that the concrete cure under water to prevent shrinkage and leaks. 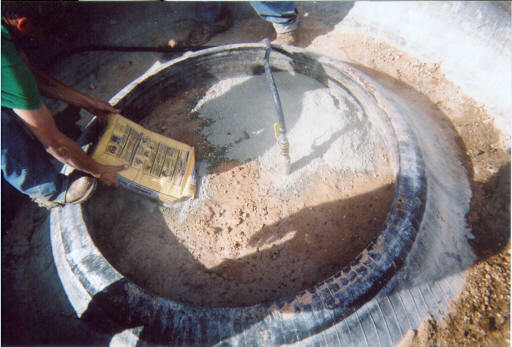 Other methods of sealing the tire include: bentonite, rubber belting, fiberglass or metal plate lag bolted into place and sealed with silicone caulk. Step 1: Set the tire tank over the plumbing. Step 2: Pack with dirt & gravel underneath the bead, up to the bottom of the bead. 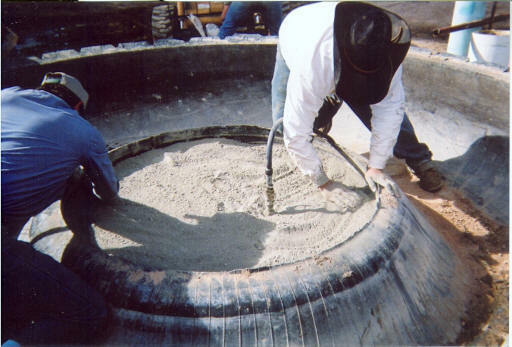 Step 3: Put 4-5 inches of dry concrete mix like Quikrete in the bead. Step 4: Level concrete mix and inspect for and remove any voids. 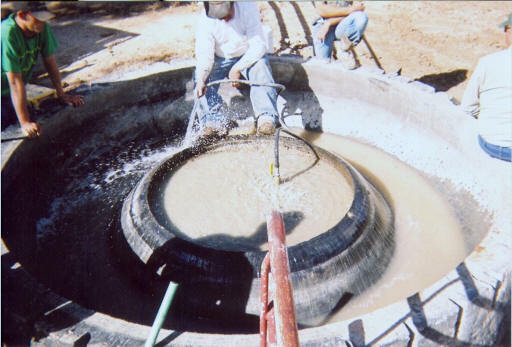 Step 5: Cover the concrete mix with water, being careful to not erode the mix. Step 5: Add your float valve and fill the tire tank with water. TireTank.com is property of Thrive Green LLC. All contents © 2010.